Tal.Akole. Dist.Ahemadnagar - 422 601. 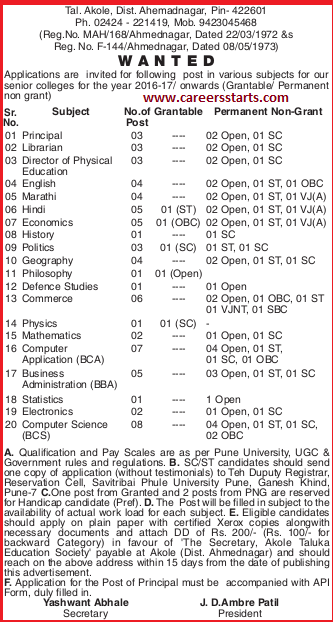 Qualification Details : As per Pune Univrsity, UGC & Govt. rules and regulations. How to Apply: Interested and eligible candidates should send their application form to the concerned address.